The Kootenay region is defined as the southeastern portion of British Columbia. There are websites that provide information about living and working in the region, but two in particular, Work West Kootenay and Invest Kootenay had many similarities. A joint-initiative was needed to link the two websites together in order to provide visitors with an all-in-one information portal. The Imagine Kootenay Project involved the creation of a new brand, along with a custom website composed of parts of two existing sites. 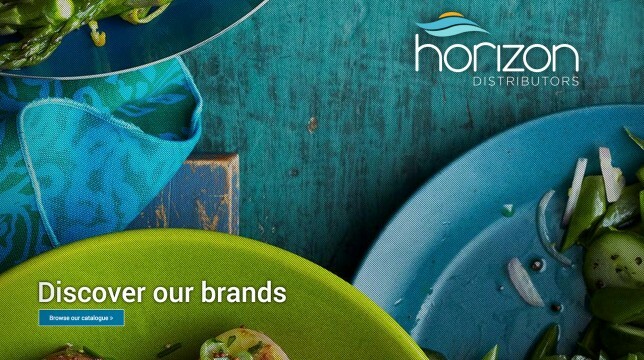 Our branding work included a new logo design and consistent branding campaign, as well as marketing collateral. 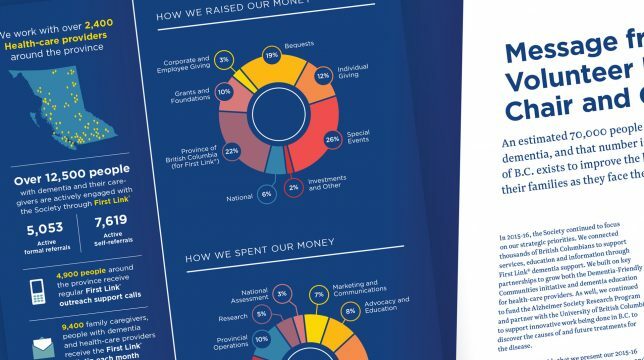 The campaign was built around the possibilities that living, working and investing the area had to offer, and it was these three distinct sections that we used to divide up the website. Our creative used vibrant colours, and was accompanied by images that encapsulated life in the Kootenays, including employment opportunities and investment possibilities. We had to focus on appealing to people at all levels that the Kootenays have to offer, based on what they value in choosing a place to live. Whether it was the opportunity to work or invest in the burgeoning metallurgical, healthcare or recycling industries of the area, or the magnificent natural beauty and outdoor recreational activities, KIMBO distilled the essence of the Kootenays into a clean and simple campaign highlighting the fundamentals of the message. The collateral and creative that we produced for the Imagine Kootenay campaign included online and digital pieces, which retained the entire message. KIMBO Design provides excellent graphic design and web development. Our web development project was highly technical and required a custom developed database on which KIMBO was able to deliver. 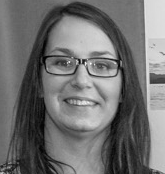 Combining Work West Kootenay and Invest Kootenay was the idea behind Imagine Kootenay. The plan was to merge these two websites, while keeping the members database and blog posts intact. Countless hours were spent on creating the branding of this new website. Instead of just two pillars, there are now three main pillars: Working, Investing, and Living. KIMBO Design came up with a fresh new logo to represent this new website by using the colours orange, blue, and green for each respective pillar. The second phase of this project involved the custom programming of the website. 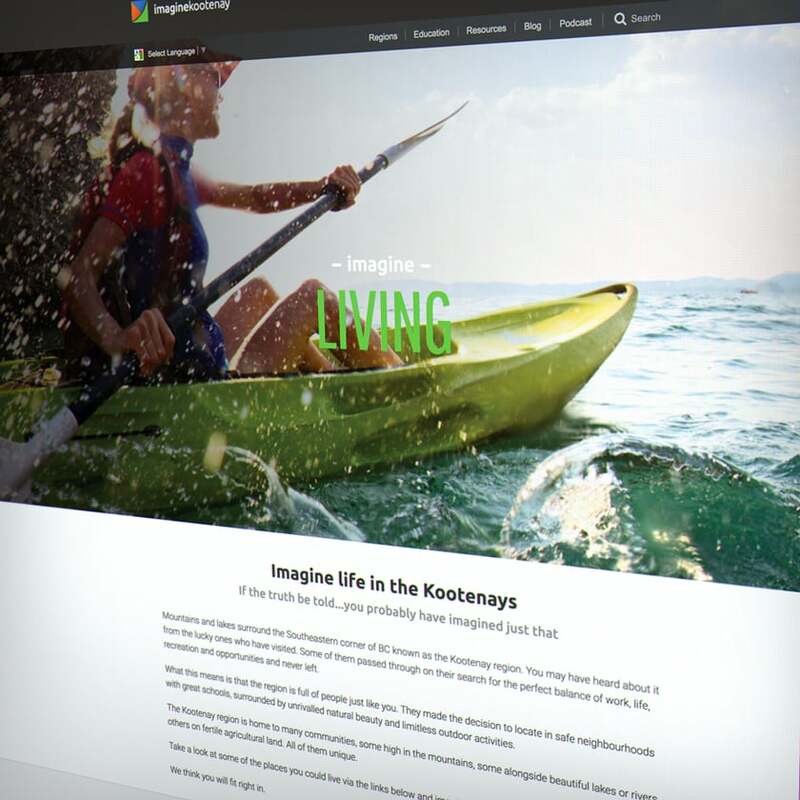 The programming of the Imagine Kootenay website is unlike any site KIMBO Design has ever created. 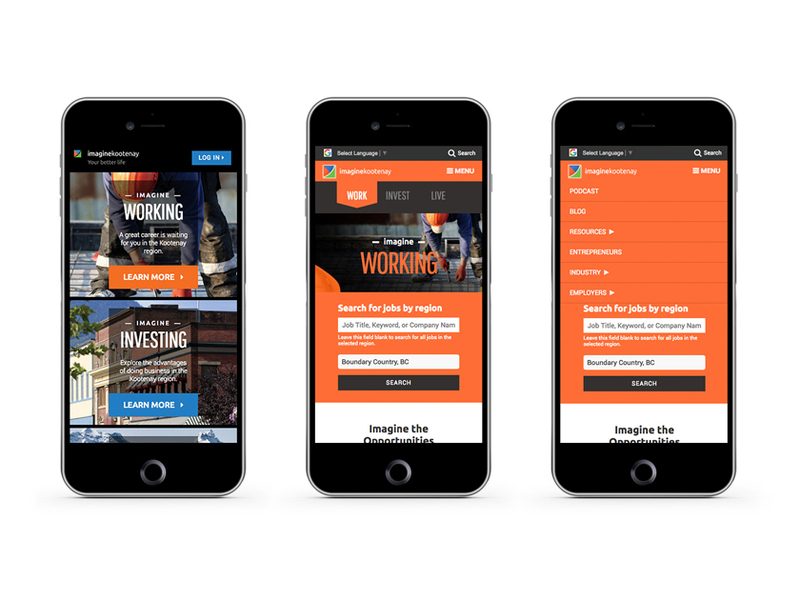 The Invest section of Imagine Kootenay is membership driven, where users can sign up as an investor or as an opportunity holder. Members can log in to view price and seller’s contact information and post investment opportunities. Merging the two websites together was a real challenge, as member information from the old Invest Kootenay website had to remain intact, while the database was integrated with the blog posts from the Work West Kootenay website. It was no easy feat, but KIMBO Design was able to successfully merge the two websites, while entirely retaining all blog posts and members information. The ‘Living’ section of the website showcases highlights of the different regions. Working section of the website includes a ‘search for jobs by region’ portal. Imagine Kootenay is the new website combining the old Work West Kootenay and Invest Kootenay sites. The website launch was accompanied by Facebook posts, Twitter tweets, magazine articles, tradeshow booths, and marketing collateral, to help drive traffic to the new and improved platform. KIMBO Design was able to merge the databases of these two websites, and we custom-programmed the website to include functionalities from both sites. 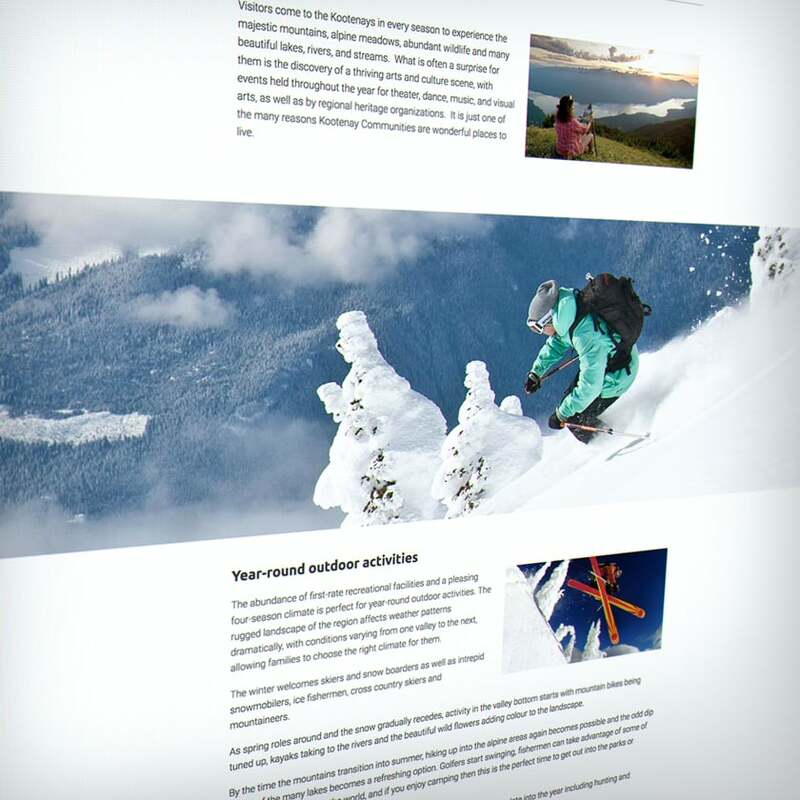 Visitors to the website are able to post investment opportunities, read blog posts and find information relating to the Kootenay region, without being redirected between sites, resulting in a seamless web browsing experience. 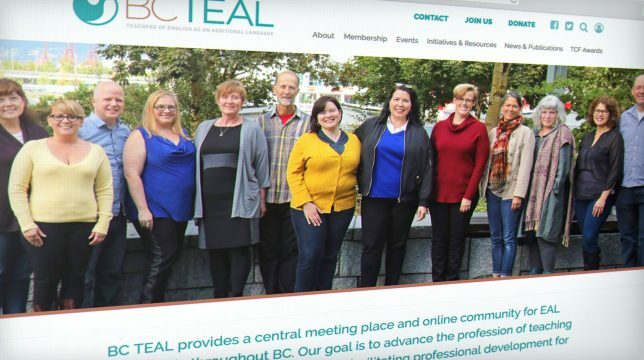 Beyond just good design, the Imagine Kootenay website and partnership has been recognized as a best practice in the province of BC. 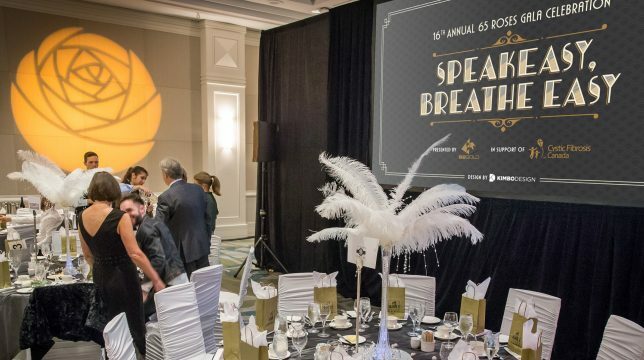 A big congratulations to the city of Kootenay on receiving the Gold Excellence in Economic Development Award from the British Columbia Economic Development Association for their special purpose website. 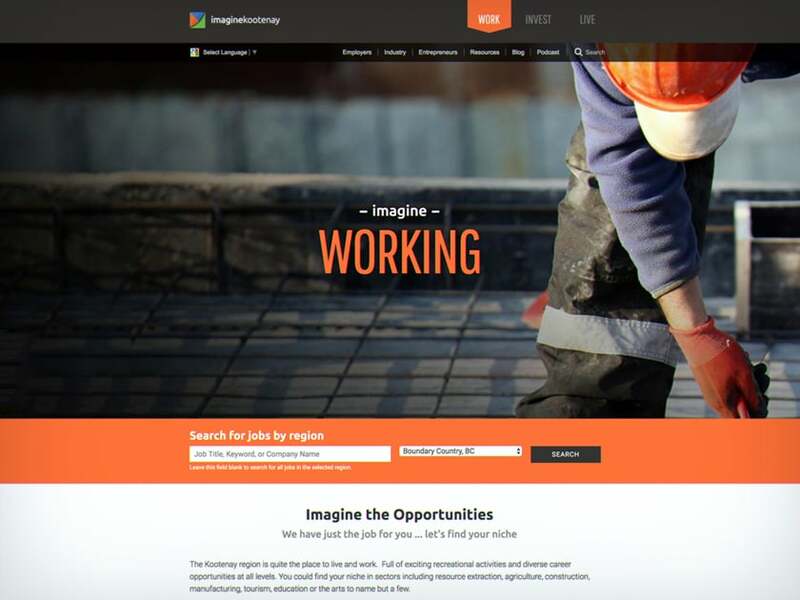 The Imagine Kootenay website brought together the work of two successful programs – Invest Kootenay and Work West Kootenay – and created a single hub of information targeted at people relocating to the Kootenay. The website highlights employment opportunities, businesses for sale, and the many lifestyle benefits unique to the Kootenays, and is an intuitive, responsive, secure, user-friendly monument to our WordPress customization ability.